Over the past years, Cirrus has been acknowledged as the major innovator in general aviation aircraft. Nowhere is this more true than in cockpit and avionics design. This has not happened by accident. 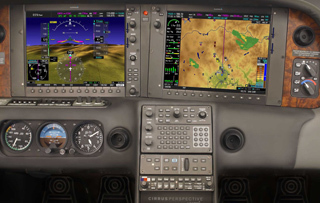 Cirrus does not select "off the shelf" avionics that may merely cater to a trend, or offer some perceived competitive edge. Cirrus people think about how the whole airplane, engine, and avionics work together for the benefit of our customers. At Cirrus, we have developed our own ideas around avionics and we team with avionics suppliers to turn those ideas into reality, new ideas that add real value to pilots. 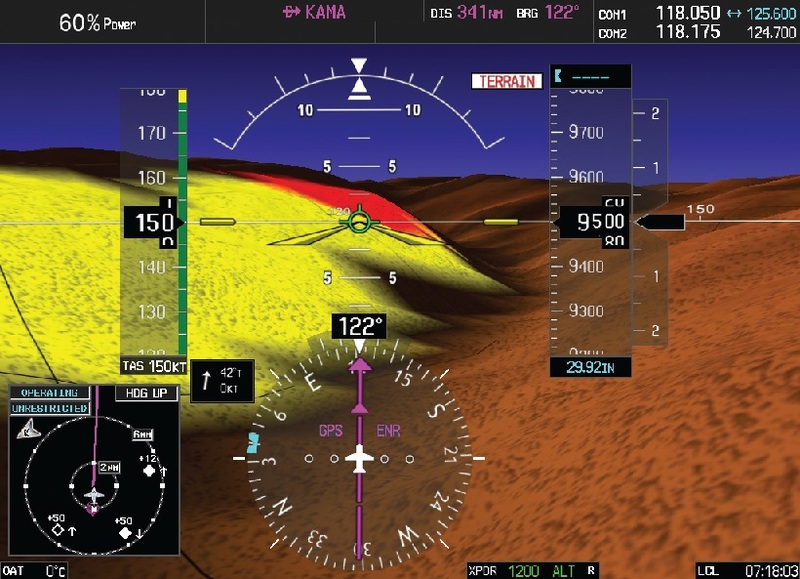 These Cirrus-driven avionics innovations constantly evolve as new technologies emerge. For example, Cirrus rejected the first generation Garmin G1000 cockpit. Garmin, to its credit, listened, acted and worked closely with Cirrus to produce Cirrus Perspective, in our view still the finest general aviation cockpit available today. The Cirrus view is often the pilot's view, "What would you want to happen if ..?" An example would be the Cirrus thinking about "graceful degradation" of capability. In our view, virtually no single equipment failure should demand an immediate transition from autopilot and full glass cockpit to hand-flying using backup "steam gauge" instruments. Common sense? Some aircraft have cockpits with only one AHRS (Attitude and Heading Reference System - the electronic " gyro") engineered so that just that one AHRS failure will disable the whole glass cockpit and autopilot; all at once. ...... Paul Bertorelli, AvWeb "Is this the Ultimate Panel?" ...... AOPA Pilot, July 2008 For Cirrus, being FAA certifiable isn't always good enough. Some years ago Cirrus rejected "needle, ball, and airspeed" as backup to a full set of instruments. Instead, Cirrus has always offered an autopilot that can use a different source for its information than the pilot uses. In case of flight instrument failure you always had that autopilot available. As Cirrus pioneered the glass cockpit the first level of backup remained the autopilot. It requires at least two (and often more) independent system failures before you have to hand-fly on backup instruments. And these are large gauges - just like instrument pilots have always used in traditional cockpits.